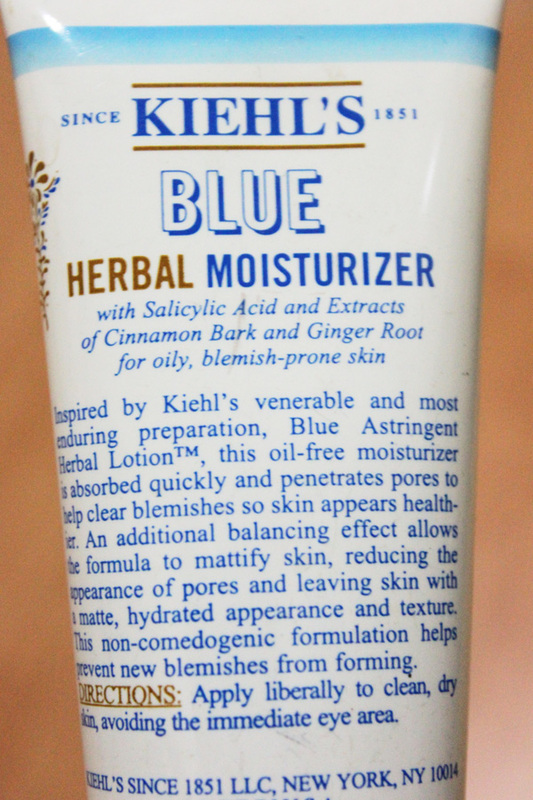 I feel like I should review this Kiehl's Blue Herbal Moisturizer because I've never mentioned it in my blog, not even once!  But I actually really love it, because as you know I have oily acne-prone skin. I had been dealing with acne for couple of months last year that's the reason I bought this along with the gel cleanser and the toner, but I've used up the cleanser and toner already. I didn't have severe acne but I just wanted to get rid of the acne, like, FAST...! So after the acne had gone, I stopped using this product but I keep coming back to this moisturizer every time zits like hormonal acne show up. So I really rely on this product and I know I could count on this bad boy! If you have super oily skin, which is kinda uncomfortable because you will feel really greasy by the end of the day, especially in hot and humid weather, or if you have severe acne that you want to get rid of, I would say, go get this! It's really helpful in treating acne, it dries up acne but doesn't make my skin feels dry at all, it works a lot better than my Kiehl's Ultra Facial Oil Free Moisturizer to mattify the skin! Cinnamon Bark Extract is taken from the dried bark of cultivated trees and is considered to be of much higher quality than extract derived from leaves. It contains an essential oil that is not only recognized for its soothing effects, but is also known to have antibacterial properties. 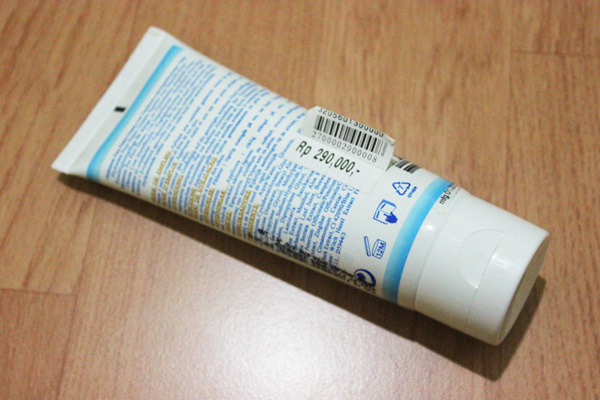 Sodium PCA is a naturally occurring humectant in the skin, partly responsible for the skin's moisture-binding capacity. It is derived from amino acids and is highly water absorbing. Due to its moisture-binding ability, is a high performance humectant which increases the skin's softness when added to products. 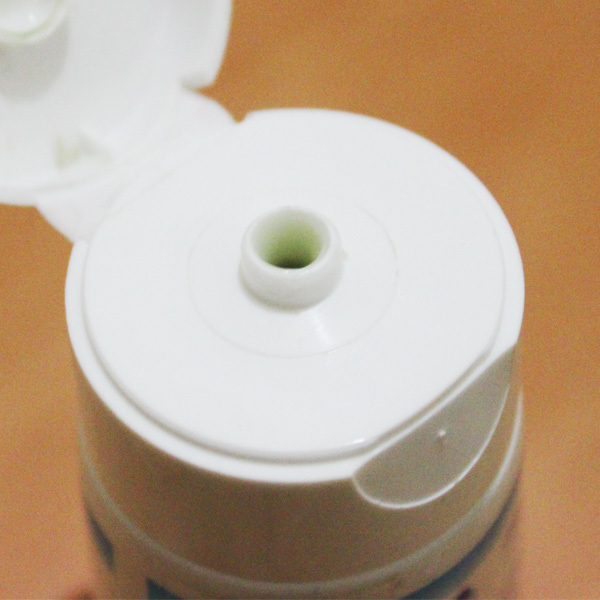 It has cooling sensation when you apply it on your skin, I don't know if it's the product or because I always keep it in my air-conditioned room all time hahahah. It also has faint smell, but nothing too unbearable though. 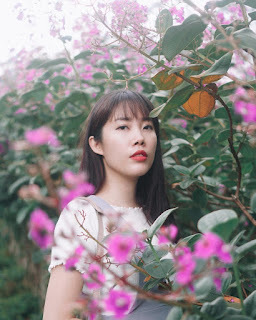 If you want to try out Kiehl's products before buying anything, I recommend you to go to this link where you can get skin consultation and get gree 5 samples of Kiehl's products. Every sample will last for couple of days, so you will know which product suits your skin. It's a great way to try new products before buying the full size ones :) LUCYS Challenge (Let Us Change Your Skin) will end on 15th July 2014, so make sure to participate if you haven't!! i can try the sample first ? going to try it soon ! 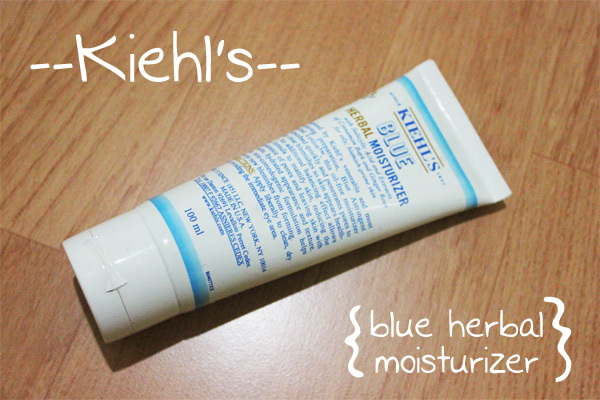 I'm glad that Kiehl's is generous with samples :) Thanks for the review. The texture looks really nice!